Business intelligence agency Jon Peddie Research (JPR) has published a new report on GPU market trends, encompassing the latest available quarter and the whole of 2017. Key findings are that GPU shipments have declined quarterly and are actually down about 5 per cent year on year. 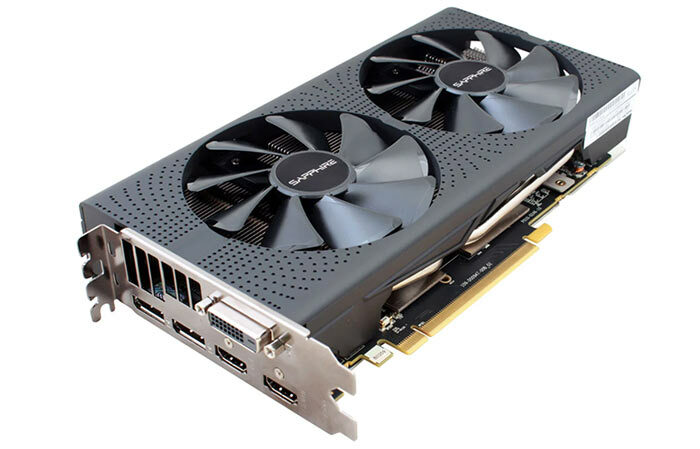 JPR says gaming is the primary driver for GPU sales but crypto-miners bought 3 million graphics cards last year having a big impact on pricing. The quarterly downturn (Q3 - Q4 2017) in GPU shipments of 1.5 per cent was not notable but rather followed "normal seasonal shipments," wrote JPR in its report. Considering FY 2017; total GPU shipments decreased 4.8 per cent, desktop graphics decreased 2 per cent, and notebooks decreased 7 per cent. Graphics chip making partners released 363 new GPU products in 2017. Of course the demand for GPU power from crypto-miners had an impact on the market, especially the AIB market which traditionally serves PC gamers. JPR's research showed that "over three million add-in boards (AIBs) were sold to cryptocurrency miners worth $776 million in 2017". Despite this the head of JPR, Dr. Jon Peddie, asserts that "gaming has been and will continue to be the primary driver for GPU sales, augmented by the demand from cryptocurrency miners". Over an unspecified period JPR expects the demand from crypto-miners to slacken as it becomes less economical to use GPUs to mine currencies. Hopefully advanced ASIC manufacturing projects at the likes of Samsung and TSMC will dampen the appeal of GPUs too. It appears that AMD has done the best out of the cryptocurrency trend so far. JPR says that AMD's overall unit shipments increased 8.08 per cent quarter-to-quarter, Intel’s total shipments decreased 1.98 per cent from last quarter, and Nvidia's decreased 6.00 per cent. For the most people on board graphics are good enough. And for those that game the high prices put many off! Very true, I think the last time I bought an external graphics card was about 12 years ago - and that was only about £35. If you bought a Ryzen CPU you needed a dGPU. In fact, the JPR figures show that integrated graphics sales - particularly on desktop - have fallen year-on-year, while dGPU sales have leaped almost 10%. Indeed, year on year it's only the desktop dGPU sales that have increased. More of us might upgrade graphics, memory and such if the price stopped skyrocketing. I want a higher end card, but refuse to pay the prices being asked. Because of the Cdn dollar being weak, it makes the problem even nastier. So $776M spent on 3M graphics cards, that's an average of $259. If that was RRP then it would make sense as that is an average of an RX580, but it has been a long time since I saw graphics cards at RRP. How out of date is this data?? ?